CineBench15 has been around for years, created in an era where 4 core processors were the new norm. However, Maxon never updated it to cope with many-core processors. The 16-core and even 32-core processors these days can finish up the benchmark in merely seconds. That means that any Turbo can run 100% all the time as the benchmark finishes (too) fast. That's not entirely realistic as processors clock down after a number of seconds of full stress. With that idea in mind Guru3D's HWGeek started modding Cinebench. 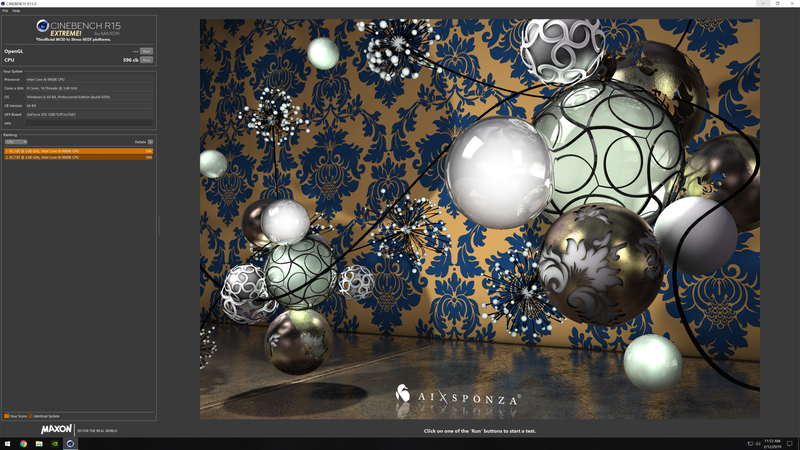 It's a simple trick, the Cinebench render resolution has been increased by fourfold, giving the benchmark a much longer and larger workload, this results into a more reliable score with the 64-threaded beasts we have available these days. 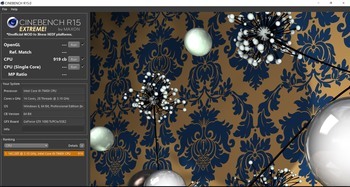 Note: This is an unofficial modded version of Cinebench 15 (it has a few some changed configuration files), this revision of software is not supported or distributed by Maxon. We encourage to check and leave feedback on this forum thread. 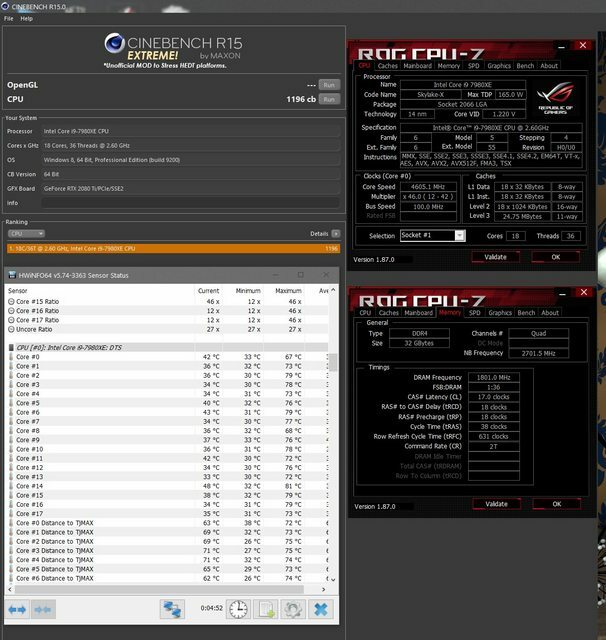 Damn this is very hard to run...I can't run my usual 4.7ghz for benching without the Temps go outside of my comfort zone..So 4.6ghz is my OC with this bench..
Best I can do: 7940X @4.7GHz 1.84v . I reached 98 ºC ! Nah it's good. My system had many things open when I did that test and I only have 6 cores. I ran the test again and got a 454.